“To have a Hall of Fame quarterback work with me, reach out to me. It would have been so easy for him to say this guy got here seven days before the first game. I don’t trust him, I don’t want to work with him. But he didn’t do that.” — Ryan Switzer. Ben Roethlisberger possibly helped save Switzer’s career. 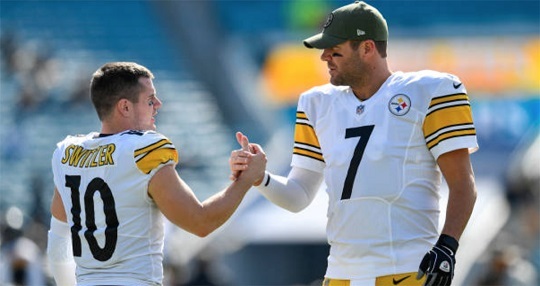 Roethlisberger welcomed Switzer in a way he never could have imagined, taking him from a dark time when he thought it was time to hang up the cleats, to the best time he had in his young NFL career. You can read more from Ms. Varley’s interview here.